Buying music gear, especially online, can be a little tricky. It can be hard to know how something really sounds and how it performs in real-world situations just by reading manufacturer’s websites and eBay ad copy. The whole process should be a little easier these days, however, thanks to the new gear review video channel launched by The Tone King on YouTube. 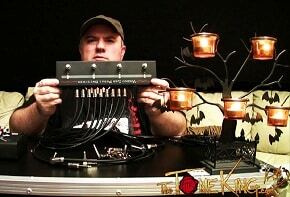 The Tone King is a completely independent gear fiend whose mission in life is to give you (yes, you!) 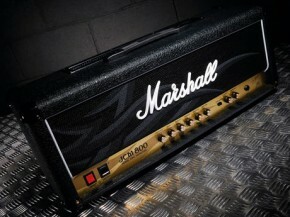 the straight and skinny about the hottest and coolest music gear out there, from brand new to vintage. The goal is to let players see and hear what they are buying before they head to the closest music store or purchase online. 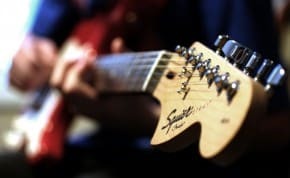 He covers things like how various guitars and amps work together, the sound qualities of amps and speakers, and even head-to-head shootouts pitting one piece of gear against another. The whole point is to help folks figure out what will work with the gear they already own or with what they are planning to buy. We all know that many things perform one way in the showroom and a whole different way in the rehearsal room, so being able to see review videos like this is a great thing. It’s this kind of information that helps buyers make informed decisions and not get sold a bill of goods by a floor sales person at a shop or just end up with something that doesn’t work out for their intended use. 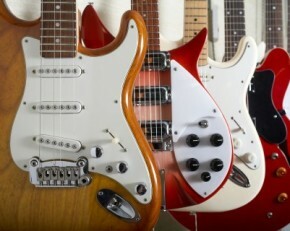 The next time you or your band is thinking about making a buy, be sure to visit www.thetoneking.com and www.youtube.com/lmsjr to make sure you have the right information to buy with the confidence that comes from knowing you made a sound investment in your musical future. 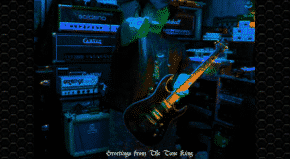 Check Out The Tone King! TTK is really cool chap doing just amazing job! He is incredibly helpful and his reviews are really useful! I disagree. But each of their own. TTK isn’t a complainer and genuinely loves music gear. Each player has a class of equipment they can afford. Maybe some random Peavey guitar is garbage to you, but the perfect axe for 10 year old starting out. I’ve played a lot of cheaper/low end equipment, but I can make it sound better than some doofis playing his $3,000 Gibson through a Mesa Mark IV. You might not like TTK, but many find value in his vids.